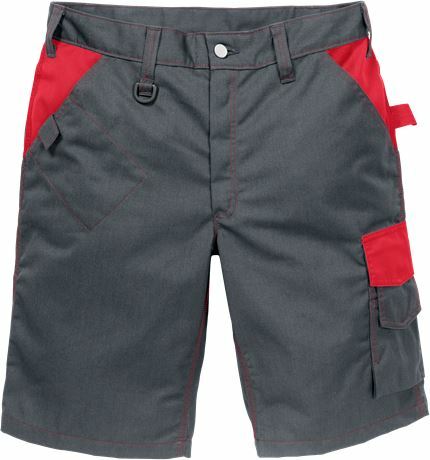 Shorts suitable for industrial work in warm environments with mesh at back yoke for increased ventilation. The colours are aligned with Kansas industry garments making them easy to mix and match. Approved for industrial laundry. 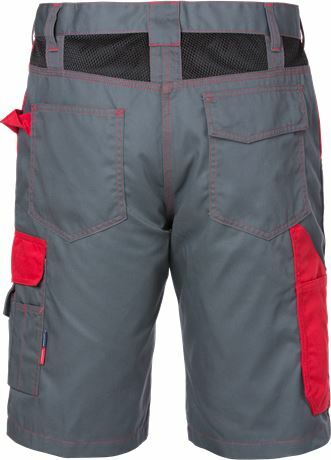 Mesh ventilated yoke at back / 3-needle fell seams / Semi-low waist / Saddleback cut / Zip fly / 2 side pockets, right with mobile phone pocket / Large leg pocket with flap - placed over side seam - with mobile phone pocket with flap and pen pockets / Double folding rule pocket with pen pocket / 2 back pockets, 1 with flap / Hammer loops/ Leasing-laundry tested according to ISO 15797 / OEKO-TEX® certified.